Official internet statistics are hard to find on the summer web eCommerce slowdown. Clearly, millions of people are still spending lots of time on their mobile devices accessing Facebook, Instagram, Pinterest, YouTube, Netflix, Twitter, Snapchat, and others apps. A recent Pew Internet Research study showed that when it comes to accessing social media, Facebook is still number one with American adults. Nearly 70% of U.S. adults are Facebook users, accessing the massive social site on a daily basis. Whether or not these adults are purchasing products online during summer remains to be seen. But it’s certainly no time for eCommerce marketers and owners to drop off the internet and take a vacation from summer campaign ideas. Of course, you don’t have to continuously tweak your summer marketing strategy day after day. 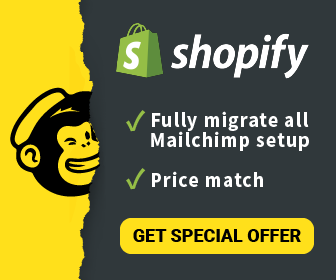 Rather, spend some time on building some smart automation and let your e-shop do its own marketing, in the form of sending personalized offers and emails/messages to your visitors. Get creative on July 4th promotions now. Target your ads to reach mobile users over that week. People will be snapping photos of family and friends over the July 3-5 period, and you can catch these folks on their devices during these days. 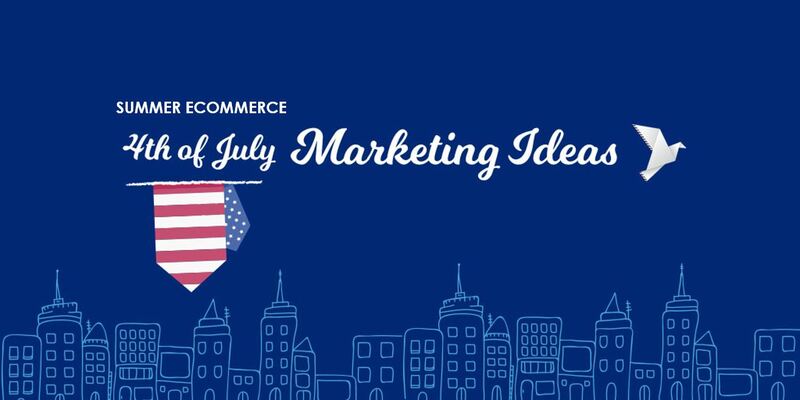 This year will be somewhat different, as the actual Independence Day holiday occurs mid-week so there may be less opportunity to pitch a weekend-themed adventure for shoppers. After the 4th, then it’s time to look ahead one week later to Amazon Prime Day, July 11th. Unbelievable as it may sound, Amazon Prime Day has become a thing, a major thing to entice mid-summer sales at the biggest shopping site on the web. Last year, the company reported that tens of millions of Prime members bought something on the site, boosting sales up more than 50% over the previous year. Amazon says in its press release that Prime Day is an opportunity for all online retailers. Maybe your eCommerce site can fashion a Prime-like summer shopping sales campaign to boost your sales on this day. And that’s the just the few days after 4th of July! The national August holidays look pretty similar, with fun dates attached to National Watermelon Day, National Underwear Day and others. Tailor your promotions to tap into the internet zeitgeist for these fun viral holidays, and make your mark with quirky marketing efforts. 2017’s back-to-school spending was expected to reach nearly $84 billion, about a 10% increase over 2016’s $75 billion. Keep in mind that ‘back to school’ shopping season can mean many things – back to elementary school, back to middle school, back to high school and back to college. Knowing your own audience and product mix will help you to best determine which products and sales approaches will resonate best. Labor Day was once viewed as a celebration of achievements for American workers. Now it’s seen more as the last splash of summer for people to relax, have fun and eat too much food before we all head back to our daily work and schedules. To help boost sales, you can try some summer marketing campaigns to tie into work-related themes. Definitely try some social media ads for mobile audiences, as many people will have their devices within arm’s length over Labor Day weekend. Don’t fret, we’ve got some quick and easy creative summer marketing ideas to reignite your sales. Your customers are going to be using Instagram or Facebook this summer. Take advantage of this platform popularity to do a contest. Ask your new and existing customers to send in great summer shots of users with your product in the pic. Use distinct hashtags with a CTA to give out a prize to the best captions, images or uses of your product. This is also a great way to curate user generated content which can help your brand’s visibility down the line. Make it fun! Summer Marketing Idea #2: Offer free shipping! Free shipping is a no-brainer for many eCommerce sites. Free shipping can entice even the most hardened bargain shopper to click the purchase button. Particularly one who is fairly new to your shop, and require that extra “convincing”. A good way to run this offer can be via an abandoned cart exit intent. As a visitor is about to leave your site with a cart full of products, trigger a message with a “Free Shipping” offer to entice the visitor to complete his purchase. You can further add a conditional check on whether the visitor cart has exceeded a certain value amount before the offer is generated. You want to keep your best (read: loyal) customers happy. Here’s a way to run a summer email marketing campaign for your VIPs. Via email, offer them a coupon for a free product, a discount, or a price cut to add more products to their next existing order. Maybe you can do this for a week straight, offering discounts on five different categories for each day of the work week. Summer Marketing Idea #4: Partner up! Reach out to your industry comrades! Summer is a quieter time of year for online retailers and the best period of the year for some experimentation. So use this time to reach out to non-competing partners to toss some ideas around, and see if there are opportunities for a mutually beneficial business partnership. Exit intent pops can help turn around your abandonment customers with a pop-up to subscribe or get offered a discount or special deal to look again at your products. Exit intent prompts a user right at the precise moment of site abandonment. Try using ContactPigeon’s marketing automation software for an intent pop-up to redirect your site viewer to secret summer deals. This tactic can definitely help increase your site conversions. Once you spend some time and you have your summer marketing strategy for your eCommerce business ready and scheduled, the best thing to do is to take some days off. Remember, taking time off will greatly help your body and mind to rest, In doing so, you’ll start to see through the forest for creative new ideas for advancing your eCommerce business, one step at a time. If you need some extra guidance, drop a note to ContactPigeon. We are a marketing software leader that was recently named a Rising Star 2018 for our ContactPigeon marketing automation platform. Find out more at our website.